While Volkswagen is known for those cute little Beetle coupes that are sporty and fun to drive, this automotive brand is not exactly known for manufacturing large and luxurious SUVs. This perspective is sure to change with the release of the 2018 Volkswagen Tiguan. Now in its second model year, this new and improved SUV offers more than most in its class. Check out our five fun Tiguan SUV facts to find out why Volkswagen could begin to be the first thought in your mind when you think of sport utility vehicles. As the demand for large and in charge SUVs increases, so does Volkswagen’s desire to meet its consumers’ needs, which explains why the all-new Volkswagen Tiguan now has gained 7.3-inches of wheelbase and 10.6 inches of overall length. In fact, the redesigned Tiguan's dimensions are now more in line with the ever-popular Toyota Highlander than a Toyota RAV4. It also means it now comes in a three-row, seven-seat configuration for all your family and friends as well as all their precious cargo. What would any fun and luxurious Volkswagen SUV be if it wasn’t powerful enough to handle anything? Not a 2018 Tiguan anyway. This new model is powered by a new 2.0-liter turbo engine that offers 14 lb.-ft. more torque than the previous model. Despite the added power, the Tiguan’s new engine and slick eight-speed automatic transmission helps it to deliver increased fuel efficiency compared with the previous model. This engine and transmission combo also provides a prompt response when you hit the gas pedal. When you select Sport mode, the accelerator reacts a little faster and the steering firms up just a bit. 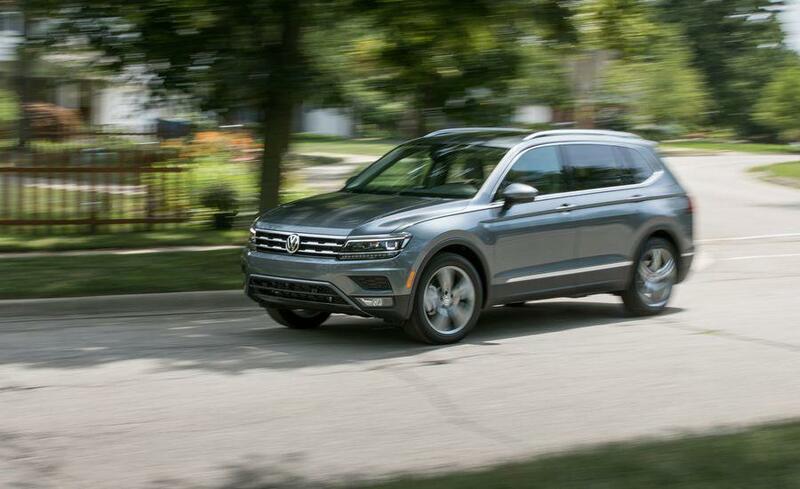 One of the largest players in the compact SUV segment, the 2018 Tiguan’s added length allows it to now have a third-row seat on all its front-wheel-drive models. These large seats are also more comfortable and supportive than ever before. Controls up front are also more straightforward and easier to use, including the infotainment touch screen, which is uncluttered and responds quickly. Other comforting touches include bottle holders built into all doors, a dedicated place under the cargo floor to store the retractable cargo cover, and the ability to lower sections of the second-row using levers in the cargo hold. For those automotive tech fans out there, the all-new Volkswagen Tiguan packs in all the latest connectivity features. Along with the addition of Android Auto and Apple Car Play, this Volkswagen SUV includes an updated infotainment system with touch buttons integrated into a large glass screen instead of the plastic menu buttons that surrounded the previous unit. The Tiguan also comes standard with features that include 12-volt outlets as well as two USB ports and Bluetooth for smartphone integration. 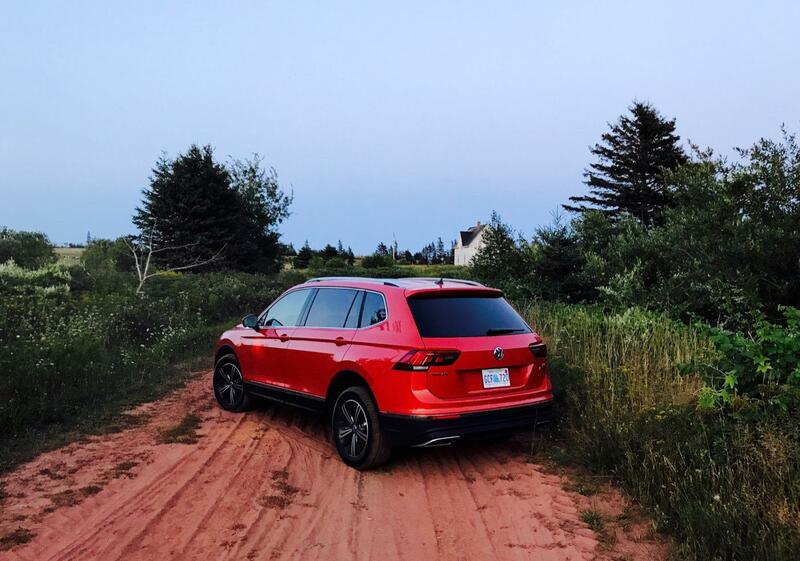 Unlike some in its class, the Tiguan is also a lot of fun to drive no matter where you roam. Although it might not be as spirited as a high-powered sports car, this Volkswagen model offers an impressive drive, no matter if you choose to drive on smooth pavement of the most difficult of gravel roads. So, if you are in the market for a luxurious compact SUV that is almost as fun to drive as driving an old school Beetle, get to The Wynn Group today to check out the 2018 Volkswagen Tiguan for yourself.